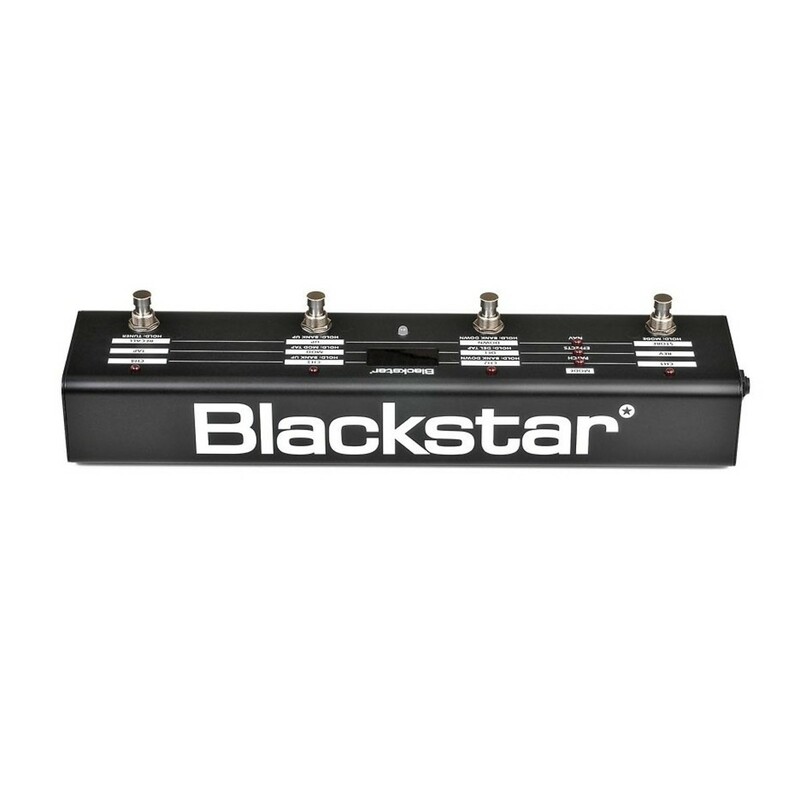 The Blackstar FS-10 foot controller accompanies the new ID range of amplifiers. 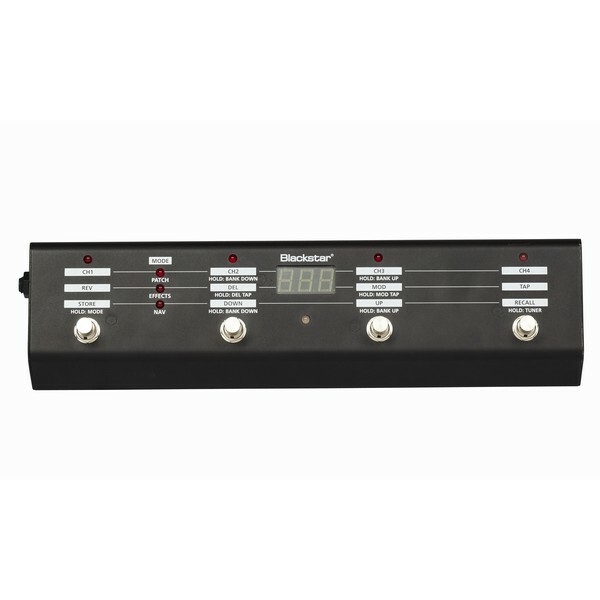 This flexible footcontroller gives unmatched control over the ground breaking ID amps allowing you to get more from it in performance situations. Patch Mode: Allows you to switch between the three banks of four patches accessible on the front panel of the amps, plus access to the tuner function and the ability to change to the other modes. Effects Mode: This offers individual switching of the effects within a patch, more like a traditional effects pedal. 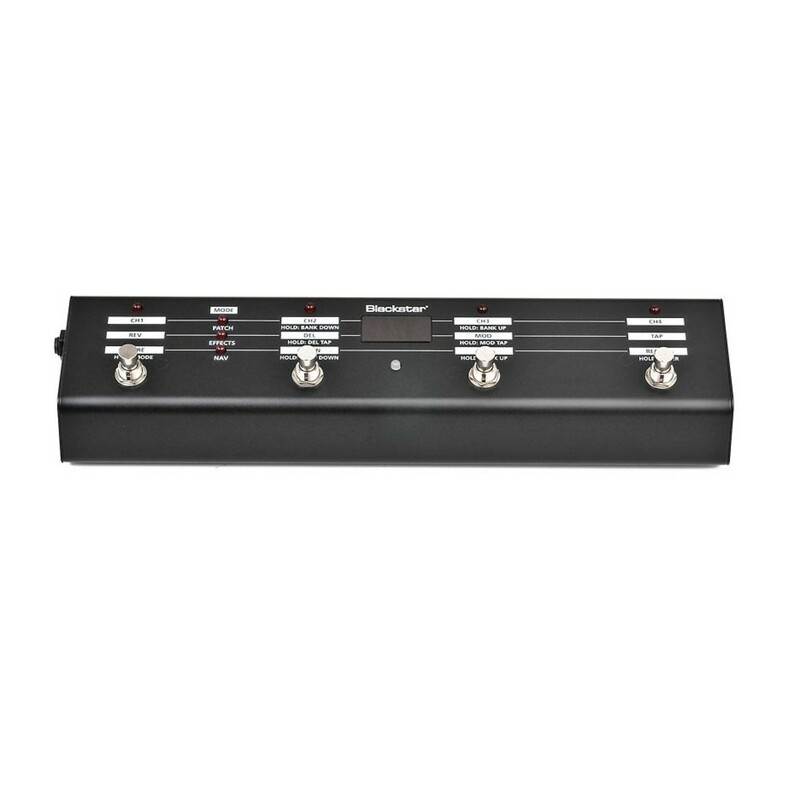 In this mode the fourth switch is used to control the tap time function. Navigation Mode: Enables access to the complete set of 128 patches stored on the amp. Step through them one at a time, or in banks, and also store patches.